We suggest customers consider investing in a Safety Chain for all bracelets (not just Regali's). You can see ours on the Accessories page. 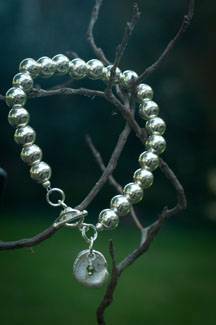 Peyton – The Peyton bracelet looks lovely with multiple charms or just one. The charms are hung from a large, substantial Rolo chain. 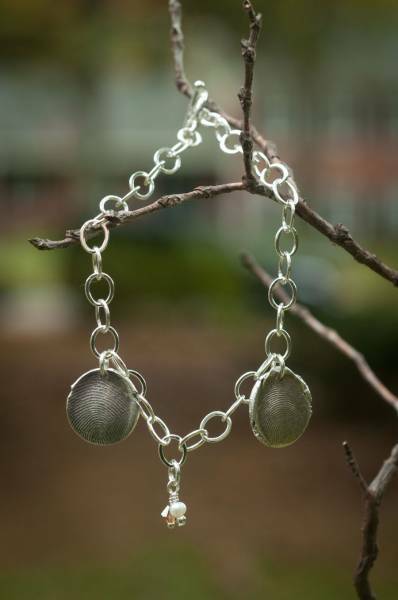 Alexandria – The Alexandria bracelet features Sterling silver balls. 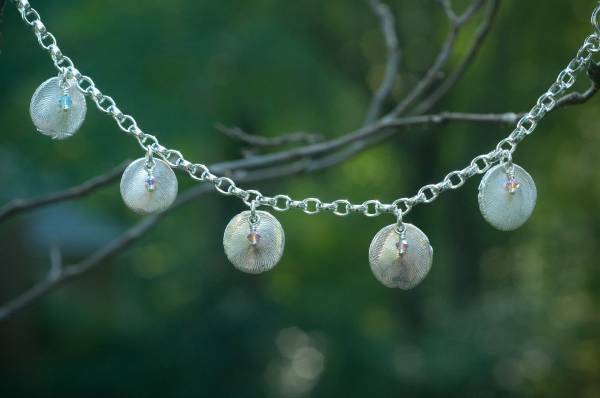 The charms are hung near the clasp, interspersed between the silver balls. 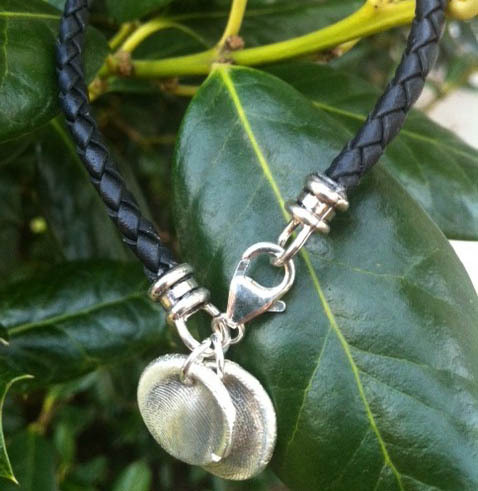 Leather Bracelet – Our 4mm black leather bracelet, suitable for both men and women, is finished with Sterling silver endcaps. If you opt for fingerprint charms, they're hung from one of the endcaps.